Sustainable tourism is not about numbers but the tourist experience. Such an understanding is critical to finding a sustainable path in this sector. In Sri Lanka, overcrowding is evident at sites including Yala and Sigiriya, and greater numbers will only diminish particular tourist experiences while negatively impacting tourism overall. By definition, sustainable tourism management meets the needs of present tourists and host regions, while protecting and enhancing opportunities for the future. A more intelligent approach – as outlined in the Sri Lanka Tourism Strategic Plan 2017-2020 – requires empowered implementation. It acknowledges that decision making needs to be led by research or evidence. Globally, tourism numbers are increasing particularly in emerging markets where associated revenues often exceed official development assistance. Yet, tourism threatens what tourists seek. Authentic experiences of pristine natural resources such as forests and beaches, engagement with local communities, sensitive coastal mangroves and coral reef habitats, rainforests and unique cultural sites also lead to competition for water and natural resources, as well as social problems – for example, escalating real estate prices, the displacement of local communities, and a lack of access by locals to using previously public resources and amenities. The World Travel & Tourism Council (WTTC) offers a positive medium term tourism outlook for Sri Lanka, which is among the top 25 countries for travel related growth over the next decade. Evidence based decision making considers the incentives and structures influencing the management of our natural resources. Governance structures including moving away from fragmented institutional mandates are fundamental to sound management. Sri Lanka will be pushed to perform better. Numerous plans require stronger coordination and evidence based decision making needs strengthening. Sustainable tourism is ecologically sustainable, economically viable, ethically and socially equitable. And it necessitates a long-term perspective. It benefits a destination’s economy, environment and society, and reduces negative impacts. Sustainable tourism is all about quality and diversity, accounting for (in terms of training, planning and incentivising) stakeholders – especially micro, small and medium-size enterprises. A World Bank study found that the highest spending tourists visited national parks and were non-package travellers. Yet, non-package tourists were a minority (with over 76% being on package tours). Learning how best to incentivise individual travel for high value niche markets will attract more high spending tourists. Meanwhile, additional information on experiences would make tourists stay longer and generate higher revenues from tourism. Managing our resources better means using improved valuation and pricing data. Unlike with traded goods and services, natural assets are usually not priced so the market fails to allocate these resources. Consequently, ecosystems and natural resources are viewed as being ‘free’ and therefore, of no value. This results in natural capital being overused and becoming more scarce. For example, many hotels receive free (except for the cost of pumping) ground water but do not maintain consumption data like they do for electricity use. This results in a greater focus on energy versus water conservation. Economists use changes in human wellbeing to gauge the value of natural resources by using various techniques. Valuing tourism based natural resources implies estimating these authentic values and using them in broader decision making. The resulting values improve decision making on alternative policies, projects and regulation. The total value of these resources depends on our use (either directly or indirectly) and non-use (e.g. satisfaction from their existence or use by future generations). Our willingness to pay (WTP) is a utility based concept motivated by these uses. WTP for preservation of a coral reef is motivated by different factors including its direct use for tourism. For example, The Economics of Ecosystems and Biodiversity (TEEB) initiative in 2009 estimated that the annual tourism value of a coral reef was US$ 1 million a hectare. Sri Lanka’s Vision 2030 report acknowledges the interdependence between tourism and the natural resources of the country. It presents a sustainability perspective with recommendations for sectors (e.g. agriculture and food, energy, marine resources, healthcare, transport, urban development and physical planning) and crosscutting themes (climate change, disasters and air quality, ethics, values and citizenship, gender, governance, innovation, technology and industry, poverty and inequality, reconciliation, security and peace). The report emphasises agro, medical and eco-tourism. Meanwhile, urgent problems include chronic kidney disease, dengue and the impact on tourism revenues from air pollution. 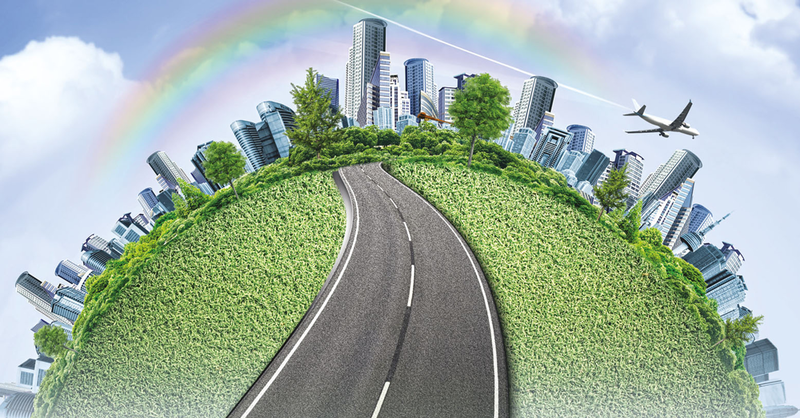 Vision 2030 promotes balanced inclusive green growth. Intelligently conserved ecosystems and biodiversity benefit the economy through increased tourism. Moreover, it emphasises ‘more tourists’ but also ‘high calibre tourists.’ And it promotes the use of organic certification and similar market based tools. And its implementation must also be sustainable.